Design any promo product online. No limits. Designing printable promo products online is always about building a solid proof, that will please customer and would confirm the production requirements. LiveArt HTML5 is capable to take all specifics into account, letting users create any promotional product design and streamline your wholesale promotional orders. Let your users do all the proofing work and focus yourself on production. Add to existing website as plugin or order turn-key solution based on popular e-commerce platforms. 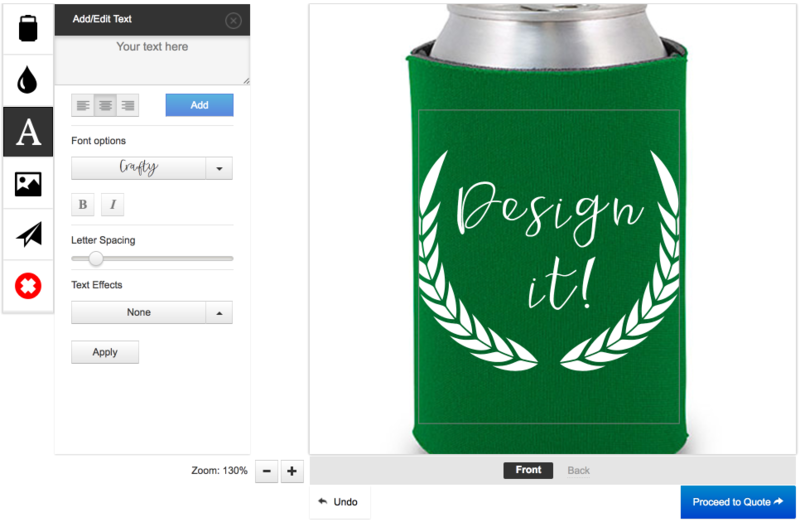 From USB Drive to Can Cooler - Design any Product you Need! Use LiveArt Lite/Shop technology to power up your promotional products printing. Any product image can be used as backdrop for promotional product design of your choice. As promotional design software, LiveArt HTML5 supports multitude of promotional products! Your product is not in the list? Although LiveArt supports almost any type of promotional product you can imagine, there are certain products we might have overlooked. Please write us about your product, send production sample images and we will gladly come back with project estimation and demo proofs! ExpressImprint has the largest selection of customizable promotional items for the marketing, sales, and event planning professionals. With experience manufacturing capabilities in the United States and a global sourcing network, ExpressImprint uses promotional products designer to reduce their customers spending on all printing and promotional products. With LiveArt HTML5, integrated with complete eCommerce solution, MyCustomCoolers enabled their customers to design personalized coolers for any occasion, gathering, reunion or holiday. With multitude of models and design templates, users can add their own text and logo to be embroidered with high-quality equipment and fit with custom accessories. Flachmann.de provides unique experience of designing your own custom flask with personal engraving. LiveArt empowered Flachmann.de with customized online product designer tool, which could be used both with desktop computers as well as tablet devices (iOS, Android or Windows based).